I haven't posted here lately but I have been sewing. 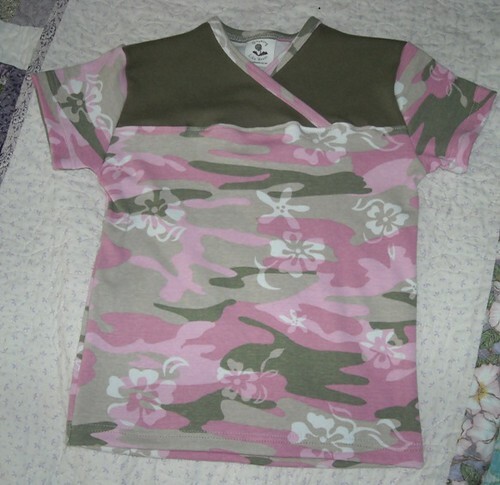 For the last couple weeks I've been working on my two secret projects, I finished the top and bottom of the churn dash quilt, made some geese for the twiddletails BOM, and this past week I worked on a couple baby dresses and a pink camo t-shirt for me. I finished up L's dress today and it's cute but I'm a bit disappointed in the pattern. I'm making this dress. It is far too wide, at least in the size 62. I'll have to see how the 80 that I'm working on ends up. I also had issues with my &*(* coverstitcher skipping stitches and had to rip out a few things.... I'm redoing one of the binding pieces on A's matching dress. It is hemmed already, but I have to do the back bodice binding again, sew gathering stitches in the skirt, and put the whole thing together. I will work on getting photos taken and post them in the next few days. 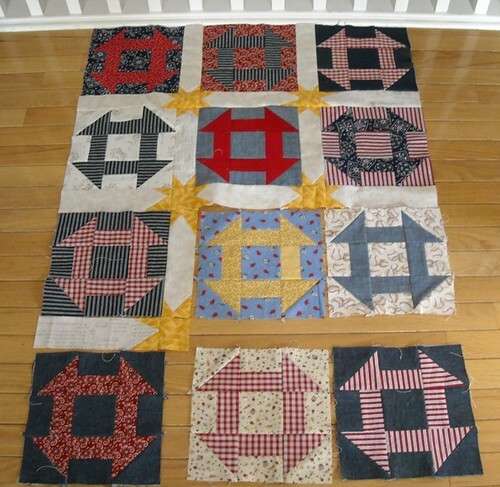 I'm ready to go back to some quilting work and then woven clothing for a little while before I get back to knits. I made these on Monday. I think. For me. I really like them. 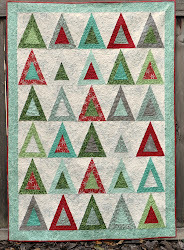 I used squares from an Urban Couture charm pack I got at my LQS. 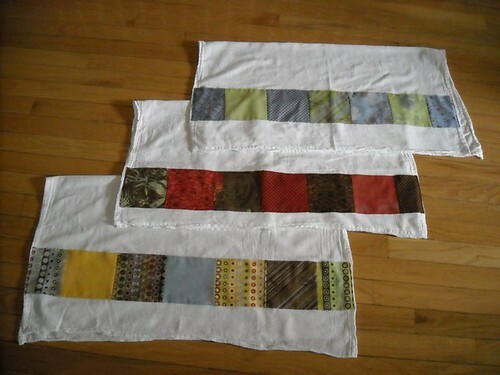 I'm going to see if I can find the Martha Stewart Kmart towels I've read about online for my next dishtowel project. These ones were from Target and they are a little thin. I made this shirt last Saturday for one of the neighbor girls. She's 5. Crazy that I remember meeting her as a very small baby. Pattern is from Ottobre Design 3/2004, this shirt was size 110. I've also worked on secret project #1 this week, and plan on getting it done by early April and then I'll be able to show it. And I worked on the set of 16 diapers for my baby girl, I didn't take a picture though. She's crying and I've gotta go.